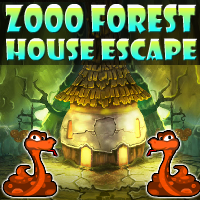 123Bee - Escape from the Forest is new escape game developed by 123Bee. A group of friends plan to celebrate the birthday of one of them in the nearby town. So,the day before they started to walk through the forest to reach the town.On the way, the birthday boy was misguided and is lost in the forest. Help him to find the way to reach his friends to celebrate the party.